The Furuno BBDS1 Network Fishfinder with Bottom Discrimination revolutionizes what we're seeing below the boat by identifying bottom composition and distinguishing between bait and fish when connected to a compatible NavNet 3D or TZ Touch. Works with Furuno NavNet 3D MFD's and TZTouch Units! The Furuno BBDS1 network black box fish finder is designed for use with your NavNet 3D or NavNet TZtouch and enhances your fishing experience by helping you locate prime fishing locations. The BBDS1 operates at the most popular frequency ranges of 50/200 khz and gives the power output option of 600w or 1kw. The BBDS1 outperforms other systems by analyzing echo characteristics from the bottom such as particle size and hardness. The BBDS1 features the FDF (Furuno Digital Filter) capability of the DFF1 as well as an all new bottom discrimination function. With the new bottom discrimination function, data retrieved from the bottom is separated and classified into four categories: mud, sand, gravel, and rock. To utilize these valuable features simply connect the BBDS1 to your NavNet 3D or NavNet TZtouch. You can even choose from two bottom discrimination display modes; Standard Mode or Probability Mode. The BBDS1’s Standard Mode will show you what materials are the most probable materials on the bottom while the Probability Mode shows you what material has the greatest chance of being on the bottom. This information is displayed in either graphic mode or a 4-color bar on the bottom of the display. With all these great features the Furuno BBDS1 Digital Black Box Fish Finder is a must have for maximizing your fish finding capabilities. Replaces Furuno DFF1 Sonar Module. *Only the Transducers below will provide Furuno's Bottom Discrimination Mode with the BBDS1. The Furuno Transom Mount Dual Frequency Transducer provides accurate depth, speed and temp readings for Furuno fishfinders and sounder modules. 600 Watts and 50/200khz frequencies.(Depth/Speed/Temp). Furuno Bronze Thru-Hull dual frequency 50/200kHz triducer(speed, depth, and temp). Fairing Block Included. The Furuno Plastic Thru Hull Dual Frequency Transducer provides accurate depth readings for Furuno fishfinders and sounder modules. 50/200khz. Requires In Hull Mount or fabrication of a fairing block. 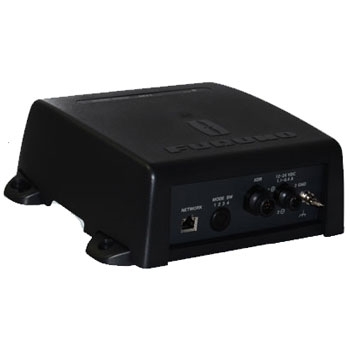 The Furuno MB1100 Transducer Matching Box with 10pin Connector is used to connect specific transducer with no connector to Furuno 10 pin connector Fishfinders. The Furuno DFF1-UHD TruEcho Chirp Fishfinder provides a whole new level of fish finding technology to your NavNet 3D or TZtouch MFD. Bottom Discrimination, Accu-Fish and unparalleled target clarity make the DFF1-UHD a must have for any serious offshore angler. Order $1,000 or more of Select Furuno Products by May 31st, 2019 and get up to $1,000 via mail in rebate. Click here for details. The Furuno DFF3 Network Sounder Module provides 1kw, 2kw or 3kw of power into a black box that can be easily added into your Furuno network. Adjustable frequencies from 28khz to 200khz so you can fine tune to the depth and fish you are targeting. The Furuno DFF3D Multi-Beam Sonar Black Box paired with a Furuno 3D transducer provides a new level of 3D underwater viewing and side-scanning capabilities. Clear photo like images of the bottom and 4 real-time viewing modes. Compatible with Furuno TZtouch and TZtouch2. *Transducer required and sold separately.